It’s been over a week since THATCamp Feminisms, hosted by Jacque Wernimont at the Claremont Colleges in LA. Somehow this blogpost got lost in the rush to finish grading, and to prep for an upcoming research trip. Many late thanks to Jacque, though, and the folks there for being so welcoming. Since our Winter Quarter has just ended hear at UCSB, I’ve stolen a few moments to reflect upon my experiences and to process some of the discussions I participated in while there. Overall, it was a wonderful reaffirming experience to be surrounded by scholars who had the same commitments to feminist politics and pedagogy, and were as invested in and conflicted about the digital humanities I am. The kick-off event was a #tooFEW Feminist Wikipedia edit-a-thon. We were one of several local nodes nation-wide where feminists gathered, learned, and participated in expanding and authoring entries by and about women, and particularly women of color, since both groups are historically underrepresented in terms of entries and editors on Wikipedia. I worked on the page for science fiction author Linda Nagata, whose Nanotech Succession is my new obsession (as in I obsessed I am with wanting to finish reading it!). Those four hours went by extraordinarily fast, and our kind Wikipedia guide Adrianne Wadewitz, made me realize the barrier to entry for new Wikipedia editors as well as the immense time commitments required of those who want to participate. I spent four hours, for example, learning the technical skills needed, figuring out the social protocol, viewing the previous edits and debates about the page, and verifying the information cited, etc… And you can all see how little was actually produced on that page in terms of quantity. It was an incredible learning experience, and I’m so grateful I was able to be there in person to consult Adrianne, and just engage with the people around me. Sometimes just having people there is so important! Our conversation focused upon our various, precarious, disruptive, transformative, outsider/insider relationships to the academy: as grad students, as archivists, as activists. To me it is was less the DH, or even the digital, that made this conversation matter, but the feminist: because we shared values, the will and capacity to be critical as well as intellectual while being supportive and trying to distribute authority and voice around the room all the while working, quick. But that was also the one of the unfortunate things about the event. The people who understand the stresses and pressures of being a female academic and woman of color academic are already here. It is so important to be carving out safe spaces and building collectives for support and action, but at the same time it also became apparent in many of the sessions that those who would benefit the most from such a gathering were not present: namely men and people who don’t identify as “feminists.” There wasn’t a single man at any of the sessions at THATCamp Feminisms West (except for one man who came to support his college roommate and a fellow THATCamper when she ran a workshop). So where the heck were all the dudes? From Twitter it does seem like there were 3 or 4 at THATCamp Feminisms East and at least one at THATCamp Feminisms South, and I’d love to hear about their experiences. The question of outreach and collaboration outside of those who identify as feminists was a central one to the “Feminist Collaborations” session, where we asked about working with programmers and others who may not share our politics at all–a necessary concern for digital humanists. And in the Digital Humanities How do we balance our feminism with our work and not force our views on others we work with (no matter how right we are, we decided colonizing our programmers was a bad idea). One of the bigger questions (and obviously, I have a lot of questions) to come out of this is: What does this reveal about gender equity in digital humanities? In the larger academy? There is plenty of research that shows rates of tenure favor white men while women of color suffer disproportionately lower rates of tenure. At an event like this one, where we come together to address or at least share about gender and sexual equality in dh and the academy it leaves us to ask: Where does the burden of addressing that inequity fall? Must women and women of color confront gender and sexual inequity on our own? On top of teaching, heavy service loads, mentoring (service and mentoring work is often much heavier for women and women of color faculty), etc.? And how about those of us who are junior faculty, adjuncts, or graduate students (like myself) who have even less power within the academy? This is an issue that has surfaced numerous times before, and crept up again at this event, in a slightly different manner. As a graduate student who works on cultural texts about precarity and temporary labor, located somewhat on the fringes of the digital humanities, and finding myself facing an uncertain job market, my own liminal status added to the sheer weight of these questions is so daunting. Senior scholars who paved the way for us look to my peers and me to be revolutionary, and we are told that our rabble rousing and the ire it engenders is proof that we’re doing something right. I both love and get a bit freaked out about the faith that is instilled in us (especially as #transformDHers). At the same time, we also have material concerns about how we will support ourselves next year, the year after than, in the long run… Fortunately, I found out Monday that I am set for the next two years (oh the joy and uncertainty of our modular and unstable lives! ), but the pressure is still there. How do I maintain my commitment to my feminist, postcolonial, Asian American politics and still get a job that can sustain me emotionally, politically, materially? Am I already endangering any potential job prospects with this post here? Ultimately, there discussions were encouraging and just knowing I have this community, though geographically dispersed in the larger Southern California area, to reach out to. I’m super excited for the upcoming SoCal Research Slam being organized by Jana Remy and Scott Kleinman (an idea that was born out of grad student efforts at UCSB! Props to Kim Knight who originally came up with the idea), and for upcoming planning/hack-a-thons to build a “Mindr” (Grindr + dh people = Mindr) mobile app to allow traveling academics to meet up with local scholars in the in area. Such a great idea to address the difficulties around building a regional dh hub. Heart! And for those interested, HASTAC also has an excellent page on the #tooFEW events, which aggregated several helpful links to articles about women and Wikipedia. These events have gone so well that it looks like people will continue to organize them into the future. Everyone is encouraged to host similar events of their own, and there are plenty of resources, including tutorials and guides, even “tea rooms” where newbie editors can ask questions. 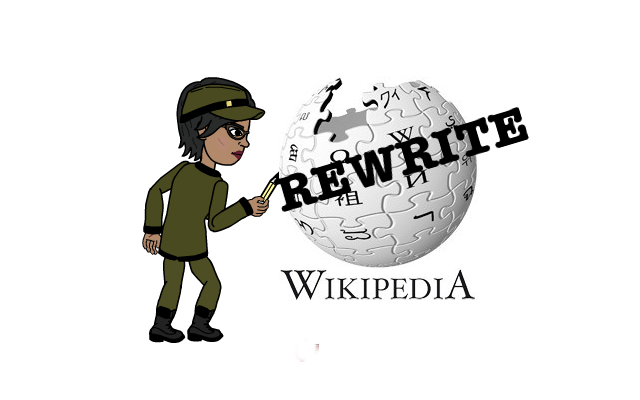 An upcoming one that is quite dear to my heart is the Global Women Wikipedia Write-In hosted by the brilliant women behind #dhpoco, Adeline Koh and Roopika Risam. You bet I’ll be there! !